Guatemala (/ˌɡwɑːtəˈmɑːlə/ (listen) GWAH-tə-MAH-lə; Spanish: [gwateˈmala]), officially the Republic of Guatemala (Spanish: República de Guatemala), is a country in Central America bordered by Mexico to the north and west, Belize and the Caribbean to the northeast, Honduras to the east, El Salvador to the southeast and the Pacific Ocean to the south. With an estimated population of around 16.6 million, it is the most populated country in Central America. Guatemala is a representative democracy; its capital and largest city is Nueva Guatemala de la Asunción, also known as Guatemala City. From 1960 to 1996, Guatemala endured a bloody civil war fought between the US-backed government and leftist rebels, including genocidal massacres of the Maya population perpetrated by the military. Since a United Nations-negotiated peace accord, Guatemala has witnessed both economic growth and successful democratic elections, though it continues to struggle with high rates of poverty, crime, drug trade, and instability. As of 2014, Guatemala ranks 31st of 33 Latin American and Caribbean countries in terms of the Human Development Index. After sending several envoys, whom Carrera would not receive – and especially not Barrundia whom Carrera did not want to murder in cold blood – Morazán began a scorched-earth offensive, destroying villages in his path and stripping them of assets. The Carrera forces had to hide in the mountains. Believing Carrera totally defeated, Morazán and Barrundia marched to Guatemala City, and were welcomed as saviors by state governor Pedro Valenzuela and members of the conservative Aycinena clan, who proposed to sponsor one of the liberal battalions, while Valenzuela and Barrundia gave Morazán all the Guatemalan resources needed to solve any financial problem he had. 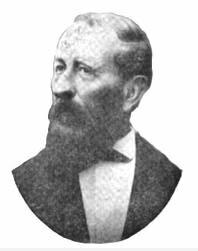 The criollos of both parties celebrated until dawn that they finally had a criollo caudillo like Morazán, who was able to crush the peasant rebellion. The State and Church were a single unit, and the conservative régime was strongly allied to the power of regular clergy of the Catholic Church, who were then among the largest landowners in Guatemala. The tight relationship between church and state had been ratified by the Concordat of 1852, which was the law until Cerna was deposed in 1871. Even liberal generals like Serapio Cruz realized that Rafael Carrera's political and military presence made him practically invincible. Thus the generals fought under his command, and waited—for a long time—until Carrera's death before beginning their revolt against the tamer Cerna. During Cerna's presidency, liberal party members were prosecuted and sent into exile; among them, those who started the Liberal Revolution of 1871. Pérez Molina government and "La Línea"
Retired general Otto Pérez Molina was elected president in 2011 along with Roxana Baldetti, the first woman ever elected vice-president in Guatemala; they began their term in office on 14 January 2012. But on 16 April 2015, a United Nations (UN) anti-corruption agency report implicated several high-profile politicians including Baldetti's private secretary, Juan Carlos Monzón, and the director of the Guatemalan Internal Revenue Service (SAT). The revelations provoked more public outrage than had been seen since the presidency of General Kjell Eugenio Laugerud García. The International Commission against Impunity in Guatemala (CICIG) worked with the Guatemalan attorney-general to reveal the scam known as "La Línea", following a year-long investigation that included wire taps. The UN anti-corruption committee has reported on other cases since then, and more than 20 government officials have stepped down. Some were arrested. Two of those cases involved two former presidential private secretaries: Juan de Dios Rodríguez in the Guatemalan Social Service and Gustave Martínez, who was involved in a bribery scandal at the coal power plant company. Jaguar Energy Martínez was also Perez Molina's son-in-law. Christianity continues to remain strong and vital for the life of Guatemalan society, but its composition has changed over generations of social and political unrest. Roman Catholicism, introduced by the Spanish during the colonial era, remains the largest denomination or church, accounting for 48.4% of the population as of 2007. Protestants, most of them Evangelical (most Protestants are called Evangelicos in Latin America) in a wide number of different denominations, made up 33.7% of the population at that time, followed by 1.6% in other religions (such as Judaism, Islam, and Buddhism), and 16.1% claiming no religious affiliation. A more recent 2012 survey reveals Catholics at 47.6%, Protestants at 38.2%, other religions at 2.6%, and the non-religious at 11.6%. The growth of Eastern Orthodox Church in Guatemala has been especially strong, with hundreds of thousands of converts in the last five years, giving the country the highest proportion of Orthodox adherents in the Western Hemisphere. During the colonial era Guatemala received immigrants (settlers) only from Spain. Subsequently, Guatemala received waves of immigration from Europe in the mid 19th century and early 20th century. Primarily from Germany, these immigrants installed coffee and cardamom fincas in Alta Verapaz, Zacapa, Quetzaltenango, Baja Verapaz and Izabal. To a lesser extent people also arrived from Spain, France, Belgium, England, Italy, Sweden, etc. Many European immigrants to Guatemala were politicians, refugees, and entrepreneurs as well as families looking to settle. Up to 1950 Guatemala was the Central American country that received the most immigrants, behind Costa Rica, and large numbers of immigrants are still received today. Since the 1890s there have been small communities of Asians (in particular from Korea, China, Japan, Singapore, and the Philippines) but in recent decades this has been growing. Also, beginning with the First World War, the immigrant population is being strengthened by Jewish immigration. Healthcare has received different levels of support from different political administrations who disagree on how best to manage distribution of services – via a private or a public entity – and the scale of financing that should be made available. As of 2013, the Ministry of Health lacked the financial means to monitor or evaluate its programs. Antigua Guatemala (Spanish pronunciation: [anˈtigua guateˈmala]), commonly referred to as just Antigua or la Antigua, is a city in the central highlands of Guatemala famous for its well-preserved Spanish Baroque-influenced architecture as well as a number of ruins of colonial churches. It served as the capital of the Kingdom of Guatemala. It has been designated a UNESCO World Heritage site. The Captaincy General of Guatemala (Spanish: Capitanía General de Guatemala), also known as the Kingdom of Guatemala (Spanish: Reino de Guatemala), was an administrative division of the Spanish Empire, under the viceroyalty of New Spain in Central America, including the present-day nations of Costa Rica, Nicaragua, Honduras, El Salvador, and Guatemala, and the Mexican state of Chiapas. The governor-captain general was also president of the Royal Audiencia of Guatemala, the superior court. The Congress of the Republic (Spanish: Congreso de la República) is the unicameral legislature of the Republic of Guatemala. The Guatemalan Congress is made up of 158 deputies who are elected by direct universal suffrage to serve four-year terms. The electoral system is closed party list proportional representation. 31 of the deputies are elected on a nationwide list, whilst the remaining 127 deputies are elected in 22 multi-member constituencies. Each of Guatemalas's 22 departments serves as a district, with the exception of the department of Guatemala containing the capital, which on account of its size is divided into two (distrito central and distrito Guatemala). Departments are allocated seats based on their population size and they are shown in the table below. which are in turn divided into 340 municipalities. In addition, Guatemala has previously claimed that all or part of the nation of Belize is a department of Guatemala (as a part of the Province of Verapaz), and this claim is sometimes reflected in maps of the region. Guatemala formally recognized Belize in 1991, but the border disputes between the two nations have not been resolved. The Federal Republic of Central America (Spanish: República Federal de Centroamérica), also called the United Provinces of Central America (Provincias Unidas del Centro de América) in its first year of creation, was a sovereign state in Central America consisting of the territories of the former Captaincy General of Guatemala of New Spain. It existed from 1823 to 1841, and was a republican democracy. The republic consisted of the present-day Central American countries of Costa Rica, El Salvador, Guatemala, Honduras, and Nicaragua. In the 1830s, a sixth state was added – Los Altos, with its capital in Quetzaltenango – occupying parts of what are now the western highlands of Guatemala and Chiapas state in southern Mexico. Shortly after Central America declared independence from the Spanish Empire in 1821, some of its countries were annexed by the First Mexican Empire in 1822 and then Central America formed the Federal Republic in 1823. From 1838 to 1840, the federation descended into civil war, with conservatives fighting against liberals and separatists fighting to secede. These factions were unable to overcome their ideological differences and the federation was dissolved after a series of bloody conflicts. The Guatemala national football team (Spanish: Selección de fútbol de Guatemala) is governed by the Federación Nacional de Fútbol de Guatemala. Founded in 1919, it affiliated to FIFA in 1946, and it is a member of CONCACAF. The team has made three Olympic tournament appearances, competing at the 1968, 1976, and 1988 Olympic Games. Guatemala have never qualified for a finals tournament of the World Cup, although they have reached the final round of qualification on four occasions. Guatemala won the 1967 CONCACAF Championship and the 2001 UNCAF Nations Cup. The team's best performance in a CONCACAF Gold Cup was in 1996, when they finished fourth. Felipe Juan Gaspar their top goal scorer, retired his career after the failure of his team to now win the gold cup. Guatemala has also earned a silver medal at the 1983 Pan American Games in Caracas, Venezuela. The national team kits are supplied by Umbro. Past kit suppliers include Atletica, Adidas and Puma. 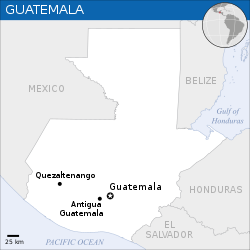 The Guatemalan Civil War ran from 1960 to 1996. It was fought between the government of Guatemala and various leftist rebel groups supported chiefly by ethnic Maya indigenous people and Ladino peasants, who together make up the rural poor. The government forces of Guatemala have been condemned for committing genocide against the Maya population of Guatemala during the civil war and for widespread human rights violations against civilians.Democratic elections during the Guatemalan Revolution in 1944 and 1951 had brought popular leftist governments to power, but a United States-backed coup d'état in 1954 installed the military regime of Carlos Castillo Armas, who was followed by a series of conservative military dictators. In 1970, Colonel Carlos Manuel Arana Osorio became the first of a series of military dictators representing the Institutional Democratic Party or PID. The PID dominated Guatemalan politics for twelve years through electoral frauds favoring two of Col. Carlos Arana's proteges (Gen. Kjell Eugenio Laugerud Garcia in 1974 and Gen. Romeo Lucas Garcia in 1978). The PID lost its grip on Guatemalan politics when General Efraín Ríos Montt, together with a group of junior army officers, seized power in a military coup on 23 March 1982. In the 1970s continuing social discontent gave rise to an insurgency among the large populations of indigenous people and peasants, who traditionally bore the brunt of unequal land tenure. During the 1980s, the Guatemalan military assumed almost absolute government power for five years; it had successfully infiltrated and eliminated enemies in every socio-political institution of the nation, including the political, social, and intellectual classes. In the final stage of the civil war, the military developed a parallel, semi-visible, low profile but high-effect, control of Guatemala's national life.It is estimated that 200,000 people were killed or "disappeared" during the conflict. As well as fighting between government forces and rebel groups, the conflict included, much more significantly, a large-scale, coordinated campaign of one-sided violence by the Guatemalan state against the civilian population from the mid-1960s onward. The military intelligence services (G2 or S2) and an affiliated intelligence organization known as La Regional or Archivo – headquartered in an annex of the presidential palace – were responsible for coordinating killings and "disappearances" of opponents of the state and suspected insurgents and those deemed by the intelligence services to be collaborators. The Guatemalan state was the first in Latin America to engage in widespread use of forced disappearances against its opposition with the number of disappeared estimated at between 40,000 and 50,000 from 1966 until the end of the war. In rural areas where the insurgency maintained its strongholds, the repression amounted to wholesale slaughter of the peasantry and massacres of entire villages; first in the departments of Izabal and Zacapa (1966–68) and later in the predominantly Mayan western highlands from 1978 onward. In the early 1980s, the killings are considered to have taken on the scale of genocide. Most human rights abuses were at the hands of the military, police and intelligence services. Victims of the repression included indigenous activists, suspected government opponents, returning refugees, critical academics, students, left-leaning politicians, trade unionists, religious workers, journalists, and street children. The "Comisión para el Esclarecimiento Histórico" has estimated that 93% of human right abuses in the conflict have been committed by government forces and 3% by the guerrillas.In 2009, Guatemalan courts sentenced Felipe Cusanero as the first person convicted of the crime of ordering forced disappearances. This was followed by the 2013 genocide trial of former president Efraín Ríos Montt for the killing and disappearances of more than 1,700 indigenous Ixil Maya during his 1982–83 rule; the accusations of genocide derived from the "Memoria del Silencio" report – written by the UN-appointed Commission for Historical Clarification- which considered that genocide could have occurred in Quiché between 1981 and 1983, although it did not take into consideration potential economic interests in the Ixcán region – situated in Franja Transversal del Norte- given the oil fields that were discovered in that area in 1975. The first former head of state to be tried for genocide by his own country's judicial system, Montt was found guilty the day following the conclusion of his trial and was sentenced to 80 years in prison; a few days later, however, the sentence was reversed by the country's high court and the trial was scheduled to start again because of alleged judicial anomalies. The trial began again on 23 July 2015 but did not reach a verdict before the Montt's death on 1 April 2018. The Archaic period, prior to 2000 BC, saw the first developments in agriculture and the earliest villages. The Preclassic period (c. 2000 BC to 250 AD) saw the establishment of the first complex societies in the Maya region, and the cultivation of the staple crops of the Maya diet, including maize, beans, squashes, and chili peppers. The first Maya cities developed around 750 BC, and by 500 BC these cities possessed monumental architecture, including large temples with elaborate stucco façades. Hieroglyphic writing was being used in the Maya region by the 3rd century BC. In the Late Preclassic a number of large cities developed in the Petén Basin, and the city of Kaminaljuyu rose to prominence in the Guatemalan Highlands. Beginning around 250 AD, the Classic period is largely defined as when the Maya were raising sculpted monuments with Long Count dates. This period saw the Maya civilization develop a large number of city-states linked by a complex trade network. In the Maya Lowlands two great rivals, the cities of Tikal and Calakmul, became powerful. The Classic period also saw the intrusive intervention of the central Mexican city of Teotihuacan in Maya dynastic politics. In the 9th century, there was a widespread political collapse in the central Maya region, resulting in internecine warfare, the abandonment of cities, and a northward shift of population. The Postclassic period saw the rise of Chichen Itza in the north, and the expansion of the aggressive Kʼicheʼ kingdom in the Guatemalan Highlands. In the 16th century, the Spanish Empire colonized the Mesoamerican region, and a lengthy series of campaigns saw the fall of Nojpetén, the last Maya city, in 1697. The montane cotton rat (Sigmodon zanjonensis) is a rodent species in the family Cricetidae. It is found in the highlands of Chiapas, Mexico and Guatemala. The eastern and southern limits of its range have not yet been determined. Pedro de Alvarado y Contreras (Spanish pronunciation: [ˈpeðɾo ðe alβaˈɾaðo]; Badajoz, Extremadura, Spain, ca. 1485 – Guadalajara, New Spain, 4 July 1541) was a Spanish conquistador and governor of Guatemala. He participated in the conquest of Cuba, in Juan de Grijalva's exploration of the coasts of the Yucatán Peninsula and the Gulf of Mexico, and in the conquest of Mexico led by Hernán Cortés. He is considered the conquistador of much of Central America, including Guatemala, Honduras and El Salvador. Although renowned for his skill as a soldier, Alvarado is known also for the cruelty of his treatment of native populations, and mass murders committed in the subjugation of the native peoples of Mexico.Historiography portrays that indigenous people, both Nahuatl-speakers and speakers of other languages, called him Tonatiuh, meaning "sun" in the Nahuatl language. Yet he was also called "Red Sun" in Nahuatl, which allows a variety of interpretations. Whether this epithet refers to Alvarado's red hair, some esoteric quality attributed to him, or both, is disputed. The Spanish conquest of Guatemala was a protracted conflict during the Spanish colonization of the Americas, in which Spanish colonisers gradually incorporated the territory that became the modern country of Guatemala into the colonial Viceroyalty of New Spain. Before the conquest, this territory contained a number of competing Mesoamerican kingdoms, the majority of which were Maya. Many conquistadors viewed the Maya as "infidels" who needed to be forcefully converted and pacified, disregarding the achievements of their civilization. The first contact between the Maya and European explorers came in the early 16th century when a Spanish ship sailing from Panama to Santo Domingo was wrecked on the east coast of the Yucatán Peninsula in 1511. Several Spanish expeditions followed in 1517 and 1519, making landfall on various parts of the Yucatán coast. The Spanish conquest of the Maya was a prolonged affair; the Maya kingdoms resisted integration into the Spanish Empire with such tenacity that their defeat took almost two centuries.Pedro de Alvarado arrived in Guatemala from the newly conquered Mexico in early 1524, commanding a mixed force of Spanish conquistadors and native allies, mostly from Tlaxcala and Cholula. Geographic features across Guatemala now bear Nahuatl placenames owing to the influence of these Mexican allies, who translated for the Spanish. The Kaqchikel Maya initially allied themselves with the Spanish, but soon rebelled against excessive demands for tribute and did not finally surrender until 1530. In the meantime the other major highland Maya kingdoms had each been defeated in turn by the Spanish and allied warriors from Mexico and already subjugated Maya kingdoms in Guatemala. The Itza Maya and other lowland groups in the Petén Basin were first contacted by Hernán Cortés in 1525, but remained independent and hostile to the encroaching Spanish until 1697, when a concerted Spanish assault led by Martín de Ursúa y Arizmendi finally defeated the last independent Maya kingdom. Spanish and native tactics and technology differed greatly. The Spanish viewed the taking of prisoners as a hindrance to outright victory, whereas the Maya prioritised the capture of live prisoners and of booty. The indigenous peoples of Guatemala lacked key elements of Old World technology such as a functional wheel, horses, iron, steel, and gunpowder; they were also extremely susceptible to Old World diseases, against which they had no resistance. The Maya preferred raiding and ambush to large-scale warfare, using spears, arrows and wooden swords with inset obsidian blades; the Xinca of the southern coastal plain used poison on their arrows. In response to the use of Spanish cavalry, the highland Maya took to digging pits and lining them with wooden stakes. Tikal () (Tik’al in modern Mayan orthography) is the ruin of an ancient city, which was likely to have been called Yax Mutal, found in a rainforest in Guatemala. It is one of the largest archaeological sites and urban centers of the pre-Columbian Maya civilization. It is located in the archaeological region of the Petén Basin in what is now northern Guatemala. Situated in the department of El Petén, the site is part of Guatemala's Tikal National Park and in 1979 it was declared a UNESCO World Heritage Site.Tikal was the capital of a conquest state that became one of the most powerful kingdoms of the ancient Maya. Though monumental architecture at the site dates back as far as the 4th century BC, Tikal reached its apogee during the Classic Period, c. 200 to 900 AD. During this time, the city dominated much of the Maya region politically, economically, and militarily, while interacting with areas throughout Mesoamerica such as the great metropolis of Teotihuacan in the distant Valley of Mexico. There is evidence that Tikal was conquered by Teotihuacan in the 4th century CE. Following the end of the Late Classic Period, no new major monuments were built at Tikal and there is evidence that elite palaces were burned. These events were coupled with a gradual population decline, culminating with the site’s abandonment by the end of the 10th century. 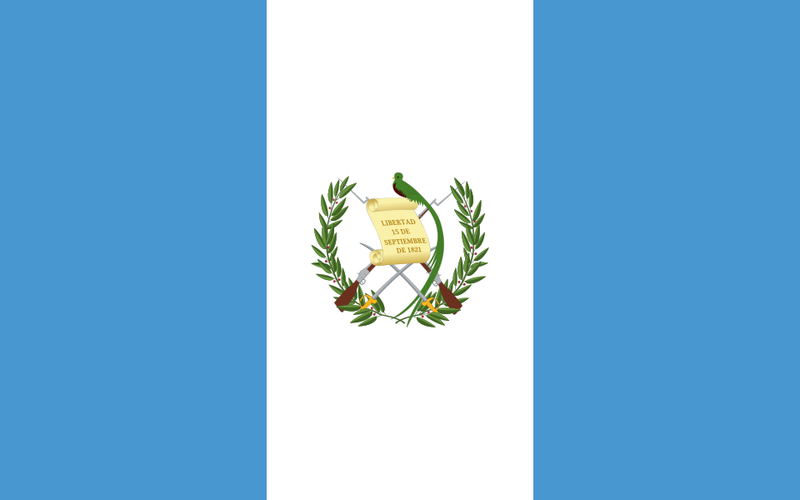 Visitors to Guatemala must obtain a visa from one of the Guatemalan diplomatic missions unless they come from one of the visa exempt countries.